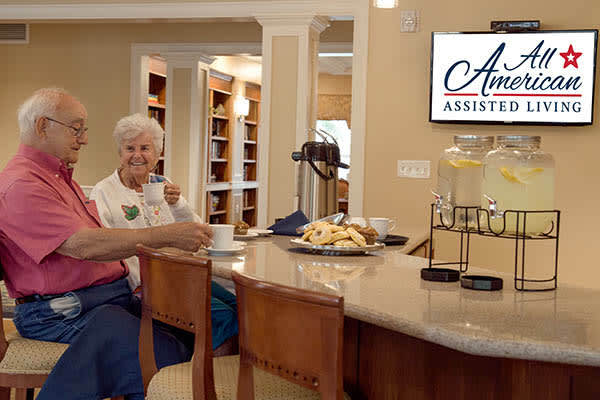 At All American Assisted Living at Washington Township, we understand that moving a loved one into an assisted living community is an important and often difficult decision, involving health, emotional, and financial issues. We have worked hard to develop a model that allows residents to live comfortably, actively, and as independently as possible, keeping our services at a manageable cost, without skimping on amenities, activities, medical services, or security. At All American Assisted Living at Washington Township, we take pride in the fact that our residents are part of a close, caring community of fellow residents and experienced staff who live, create, and celebrate together. Our personal care staff assist residents with Activities of Daily Living (ADLs), including (but not limited to) dressing, bathing, evening care, and escorting to meals and activities. We help as much or as little as needed, always treating our residents with dignity and respect. All American Assisted Living at Washington Township has a total of 47 two-bedroom apartments, each with individual and private bedroom suites, and a comfortable living area, kitchenette, and bathroom. In our spacious Tyler dining room, residents enjoy three daily nutritious meals, our food is cooked home-style for flavor and served restaurant-style for your convenience. Wait staff take care of everything, including ensuring that any dietary restrictions are followed to ensure only delight for our patrons. 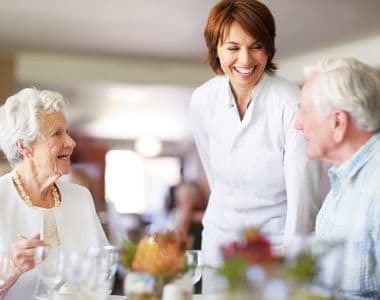 All American Assisted Living at Washington Township ensures that residents are as active as they want to be while providing space for quiet socializing and private contemplation. Every day, we will be living fully, creating joyously, and experiencing a rich mix of culture, artistic explorations, learning, and entertainment. Personal care services are offered on-demand and discreetly in accordance with each resident’s individualized service and wellness plan. Our nursing team oversees each resident’s medication management program to ensure that medications are taken as prescribed by their physician. Residents can also be visited by third-party medical specialists to get the ongoing care they need. Our newly constructed, beautifully designed and furnished building offers 24-hour security, and amenities such as a bistro, media room, arts and crafts room, computer and business center, and comfortable lounge areas, as well as outdoor gardens and walking trails around the community enjoying the beautiful landscaped settings.